Joseph Muscat was confident in his interview with Katriel. I must confess I liked Joseph Muscat's Facebook interview with Katriel, the brave young man who suffers from a rare form of Lupus. Being the excellent orator that he is, the prime minister answered each question, laced with confidence and humour. It was no wonder hundreds of supporters congratulated Dr Muscat live for being the down-to-earth person that he is. I believe there should be space in the media for such light-hearted interviews. I will not delve into the issue whether children should be used for political campaigns, as the President and the Children’s Commissioner had warned against. The issue of many is that the prime minister is abstaining from one of the tenets of democracy that he should be answerable to the public. Just in case you're wondering what I'm talking about – the prime minister has refused to sit down and take questions from the independent media for months on end. Since the Panama Papers scandal and more recently the Daphne Project, the prime minister has refused to engage with a journalist worth his salt. I'm already envisaging the template answers of many supporters: "Serves you right", "journalists are all liars/unfair/biased/bought", "he doesn't have time to waste" and of course, "who cares? We have a 40,000 (80,000) majority". This is besides the point. If the media is too critical of the government, yes even if it is "unfair" by the standards of some, the point is that every public official is subject to public scrutiny. And the head of that public office is the prime minister. And if we really believe in democracy, then we should understand why the media has a duty to act as a watchdog on the institutions. When Tony Blair (a prime minister Dr Muscat admires) was rightly being hounded on his handling of the Iraq war he stood in front of the world media to take questions to field the most brutal questions - daily, for months on end. Till this day, good journalists feel they have a duty to ask about that blotch in his career. On a daily basis, European Commissioners and their spokesmen have to stand in front of a press room in Brussels to take questions, most of which will not tie in with their rhetoric or agenda. But in Malta, this stonewalling of the media in Malta transcends Dr Muscat's office. Prominent ministers and their spokesmen continue ignoring independent media requests whose legitimate questions are often answered with one-liners or else derided as "fake news". I saw Nationalist ministers adopt the same siege mentality during their tenure but in more than two decades in this job I have never seen this kind of refusal to communicate with a press corps which is simply trying to do its job. 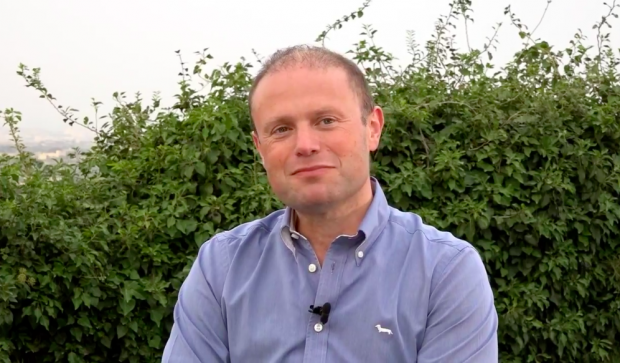 Joseph Muscat should know - I remember him being one of the most skillful journalists grilling Eddie Fenech Adami at every turn in the run-up to the EU referendum. He was doing his job. In 2018, it's ridiculous that media outlets have to resort to doing cynical stories like an imaginary interview with Dr Muscat. What really surprises me is that like his predecessors, Muscat has shown he is excellent at dodging the tough questions and turning the tide around. So what's stopping him now from engaging now? Does this mean the media is flawless? Far from it. I'm the first to admit that journalists make mistakes, that agendas have always existed, and that certain reporters need a crash course in ethics. But this should not provide an excuse for the government to stonewall the entire independent press.